In front of a big DIY and gardening store, on Saturday morning, 26 November, Zonta club members handed out a Zonta Says NO to Violence Against Women flyer that provided information about the Zonta International Service Projects and local service projects to shoppers. 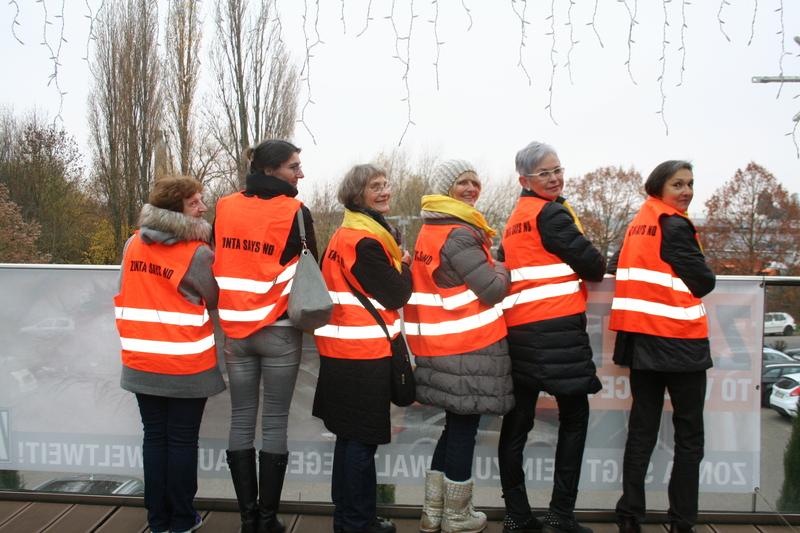 The Zontians wore reflective vests and gave interested parties a trolley coin, both with “ZONTA SAYS NO” printed on them. Moreover, the store hung a Zonta Says NO banner at the balustrade above the main entrance. The local newspapers and local radio station announced the event some days before.